The Alpine Chough or Yellow Billed Chough is one of the crow family and breeds high up in the mountains. 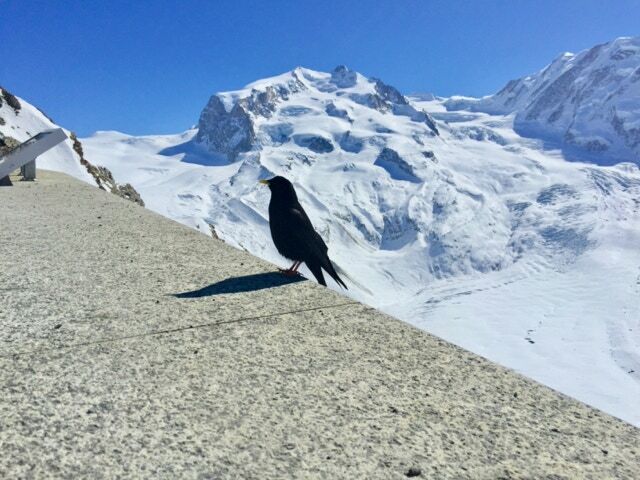 The bird below was photographed in the shadow of the Matterhorn in Zermatt Switzerland. It has a yellow bill and red legs and glossy black plumage. They eat fruit and invertebrates and will gather around tourists for food too.